The National Foundation for Cancer Research expresses our appreciation to chef German Lam, a cancer survivor who has been profiled in our Faces & Voices of Cancer—In Depth series, as well as on the FVC website, for offering this delicious base recipe of his to our readers. Perfect for Thanksgiving! Seasoning: These all depend on how moist and flavorful you want your dish. Start with a little, then add in more to taste! Methods: Start thinking of how many dishes you can prepare with these ingredients during the week of Thanksgiving by applying basic preparations that can be re-heated in the microwave, stove top or oven. Overwhelmed? Don’t be discouraged, these methods and techniques are freestyle cooking. To contact German, e-mail him at german@glamfoodsll.com, and too check out his company website, www.glamfoodsllc.com. 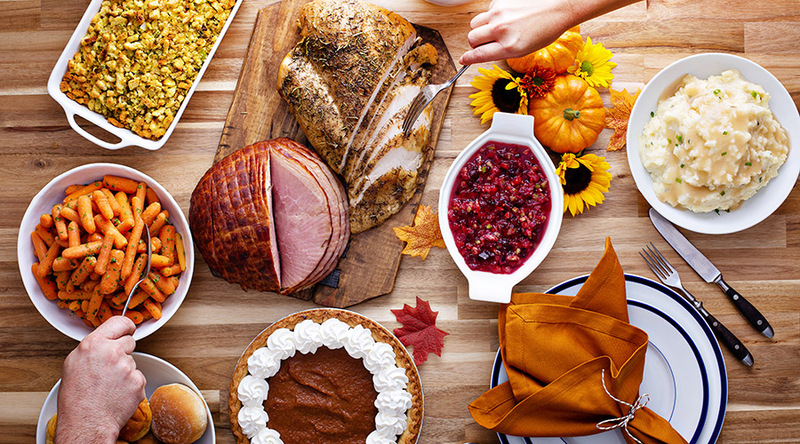 Do you have any information on how your thanksgiving food may be unhealthy for consumption. I saw an article about this approximately 25 years ago and would like to see if you have any information about it being toxic for your health due to the chemicals in the food. Your ticket for the: Thanksgiving Recipe: Soup or Side Dish—or Both!